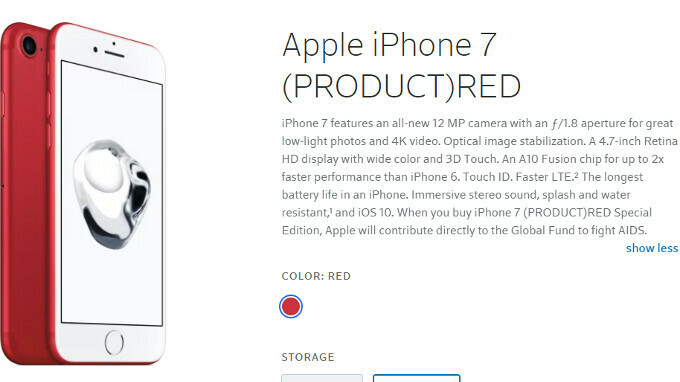 The exclusive RED version of the iPhone 7 can be yours for just $450, if you don't mind signing up for a new line on Comcast's Xfinity Mobile service, or changing your existing phone there. If you are one of the 30 million Comcast customers in the US, chances are that you might want to look at what Xfinity Mobile is offering, as it piggybacks on the network with the best US coverage - Verizon - and its unlimited plan is just $45 a month, or you can pay $12/GB, if you aren't a big user. In any case, Xfinity is now giving the RED iPhone 7 256GB, which can now only be found through retailers like Amazon or eBay at north of $800, for $450, which is as good as it gets for this phone. You only need to log in to your Xfinity account, add a new line, or choose to replace your existing device, and, finally opt for a new number, or keep on with your current on. By adding the iPhone 7 RED 256 GB, your total should be $449.99, and shipping is free. You can also trade in your current device for an even lower value. Doesnt sound like a bad deal. Can be paid monthly for about $18/mo for 24 months.